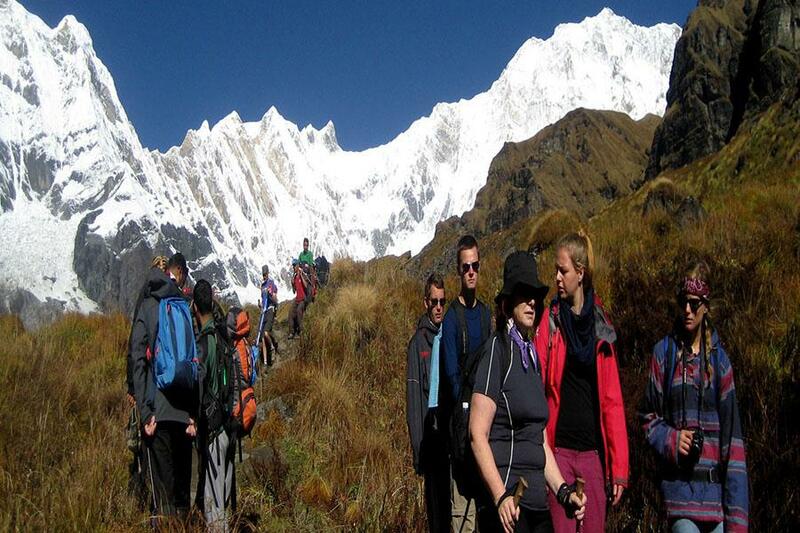 KATHMANDU, Oct 09: The tourist arrival in the month of September is growing. The month of September 2018 has witnessed a very encouraging growth trend by a healthy growth of international visitors arriving by 33.8%. The forward momentum continues in the month of September 2018, with 91,820 international visitors. With this, the arrival figures in January–September period reached 772,798; an accumulative increase of 20% over the same period in 2017. Tourist arrivals from India grew by 96 per cent in September in comparison to the same period in 2017. Likewise, arrivals from Sri Lanka surged by 57.1 per cent. Similarly, the overall arrivals from SAARC countries registered a sturdy growth of 52.8 per cent over the same month last year. Moreover, visitor arrivals from China have continued to soar with an exponential growth of 55 per cent in comparison to the arrivals in the same month last year. Arrivals from Asia (other than SAARC) have also recorded a robust growth of 42.6 per cent. Likewise, the number of visitors from Japan and South Korea has also increased by 8.9 per cent and 9.2 per cent, respectively. European markets generated 66.3 per cent more visitors in September this year. Arrivals from Germany and France increased by 30.9 per cent and 19 per cent, respectively. However, Australia and New Zealand witnessed a decline of nine per cent and four per cent, respectively, in September as compared to the arrival figures of 2017. 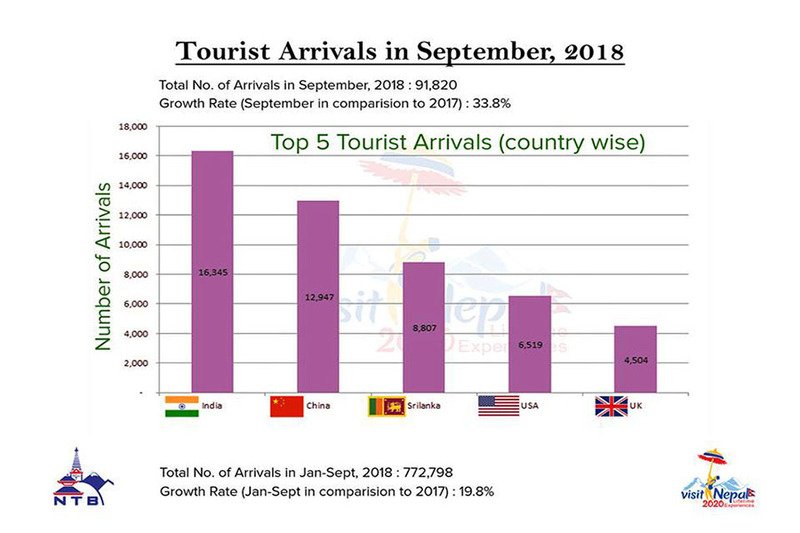 Similarly, the number of visitors from the United States and Canada has also decreased by nine per cent and two per cent, respectively, in September. towards the betterment of overall tourism business and the industry in general.